Hello and Welcome. 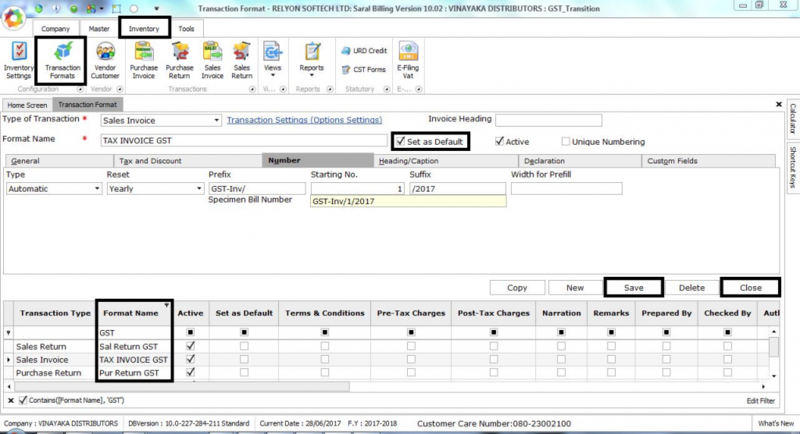 In this post, we will learn how to enable GST in Saral billing v10.02 for existing company. Follow the steps and its done. 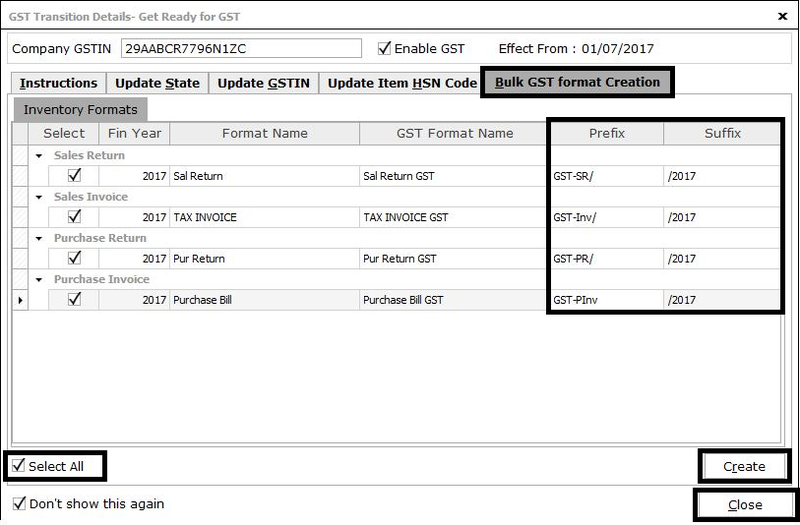 Step 1– Go to Tools -> File Handling-> Click on GST Transition. 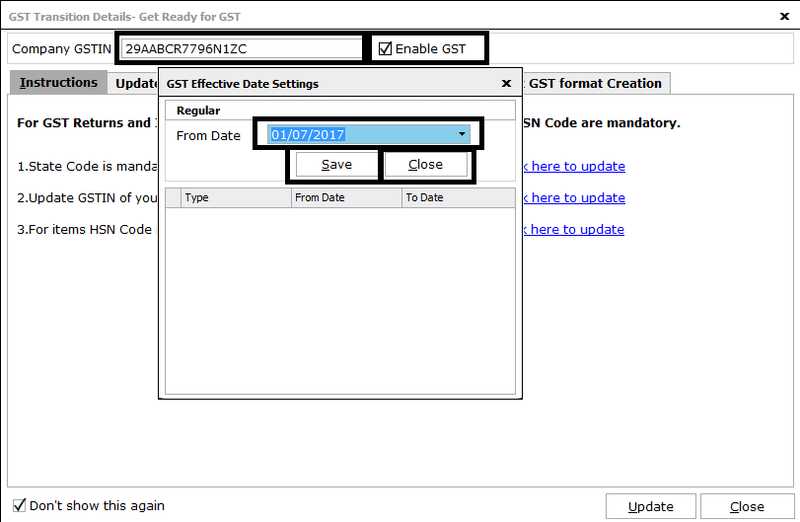 Step 2– Then enter your Company GSTIN and click on Enable GST. Then enter GST effective From Date as 01/07/2017 and click on Save then Close. 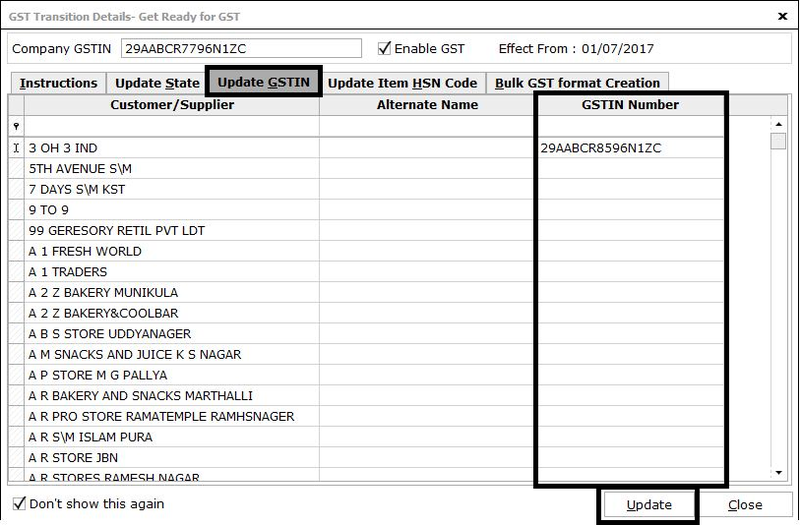 Step 4– Then click on Update GSTIN tab and enter GSTIN in GSTIN number column for all customers/suppliers and then click on Update. Step 5– Then click on Update Item HSN Code tab and enter HSN Code for all items and click on Update. 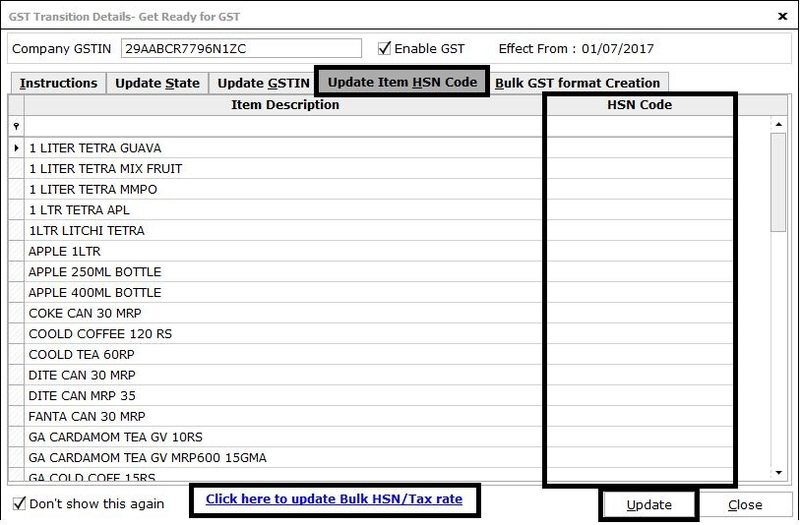 Step 6– Or press Click here to update Bulk HSN/Tax rate option to apply item group wise HSN Code and GST Rate and click on Save then Close. Note: Transaction number will starts from 1 with specified prefix and suffix here. 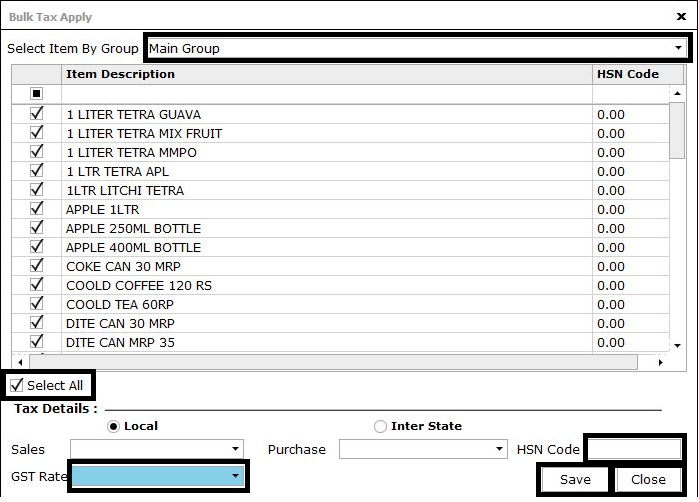 Go to Inventory -> Transaction Formats –> Number tab ->Starting Number to change transaction starting number. 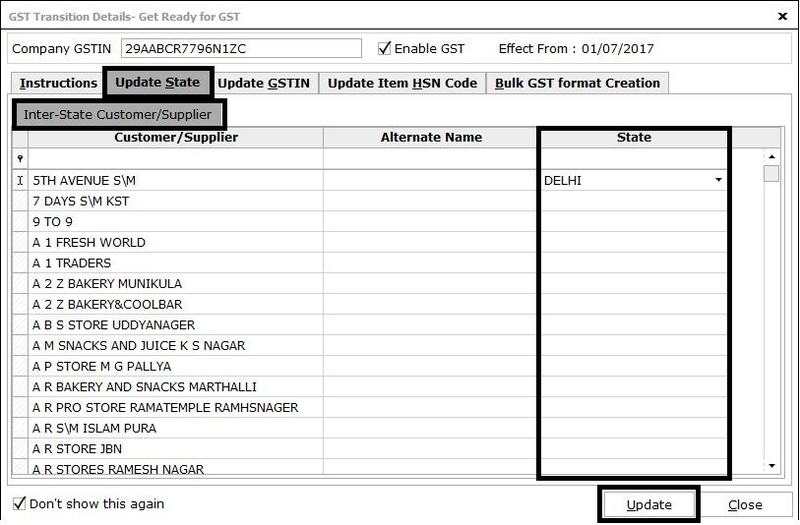 Step 8– Then go to Inventory menu -> Transaction Formats -> then filter Format Name with GST ->and double click on GST formats -> then click on Set as Default option -> then click on Save then Close.